The Guelph Storm make their lone visit to Mississauga to battle the Steelheads in a mid-week matchup. 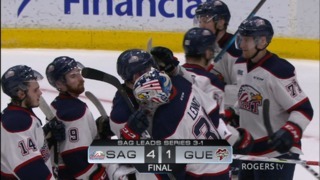 It’s a quick turnaround for the Storm, after losing all three games during the Thanksgiving weekend. 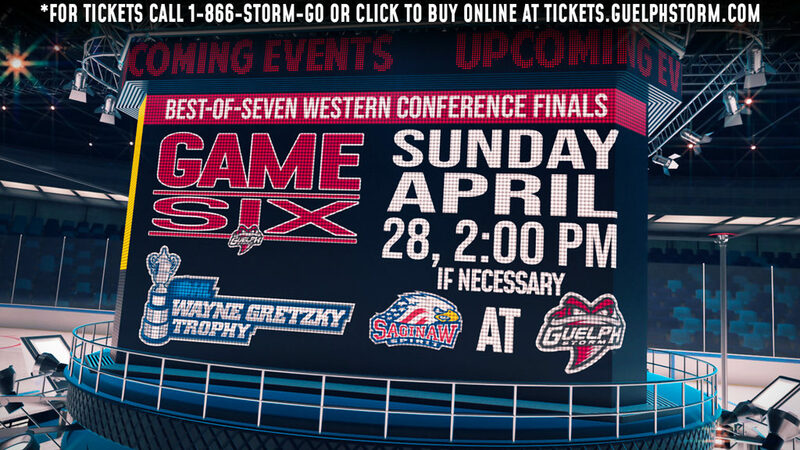 The Storm will look to get back into the win column when the travel to Mississauga to face the Steelheads. 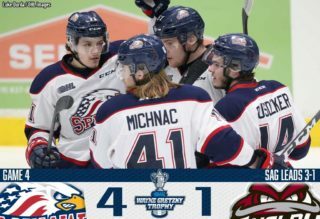 There were some positives to come from this past week, as the Storm proved their offense can play with anyone in the league as they scored four goals in each game facing three of the best teams in the OHL. The Storm are scoring by committee with 18 players finding the scoresheet, while 14 of them have recorded a goal, through seven games. On the home side of things, Mississauga is coming off an extended break, winning they’re last game on October 7 versus Flint. The shootout win over the Firebirds snapped a three-game losing streak for the Steelheads. They’ll look to build off this win to climb their way out of the Eastern Conference basement. It was a strong Thanksgiving weekend for Storm sophomore forward, Luke Burghardt. The Bowmanville native found the back of the net three times in as many games, capped off with his first multi-goal game of his OHL career. Burghardt now has four goals on the young season and will look to stay hot in Wednesday night’s game. The Storm’s current leading scorer is veteran forward, Matt Hotchkiss. The Whitby native has three goals and four assists for seven points in as many games. 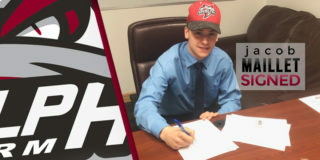 In his first seven games of the season, Hotchkiss has amassed seven points (three goals, four assists), being held pointless twice in the stretch. Turning the focus to the freshman on the roster, rookie Ryan Merkley, put forth a strong effort this past week, earning Player of the week honours for his four points in two games, highlighted by his first multi-point game of his OHL career. 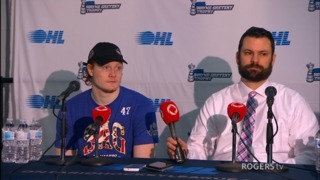 The Mississauga, native continued to stay hot, scoring his first career OHL goal on Monday versus rivals, the Kitchener Rangers. Merkley currently sits third in team scoring with one goal and five assists for six points in seven games. Leading the way in scoring for the Steelheads is New Jersey Devils prospect, Nathan Bastian. 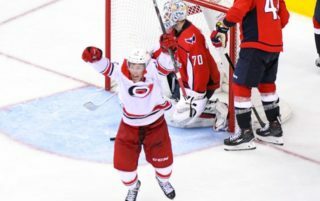 In three games since returning from the Devils training camp, Bastian has recorded three goals and one assist for four points. The Kitchener native has had big games against the Storm, scoring three points during last year’s two-game season series. The Steelheads defensive core features Nicolas Hague, a top prospect for the 2017 NHL Entry Draft. The hulking defender scored 14 goals and 10 assists for 24 points in 66 games in his rookie season. The Kitchener native has taken a step forward with two goals and two assists for four points in his first six games. During last year’s two matchups between the Storm and Steelheads, Hague found the back of the net twice. Lastly, you can’t get too far in regards to the Steelheads without the mention of veteran forward and Mississauga captain Michael McLeod. The Mississauga native was selected 12th overall in the 2016 NHL Entry Draft and made a strong impression at the Devils training camp. Upon his return, McLeod has recorded three assists in as many games. A constant threat, McLeod amasses 21 goals and 40 assists for 61 points in 57 games last season. Following Wednesday’s match-up, the Storm returns home to host the Erie Otters on Friday and the Kitchener Rangers on Saturday. Don’t miss a second of the action and get your tickets HERE.